What began as a humble organic CSA quickly evolved into a popular restaurant showcasing the bounty of the Central Coast. 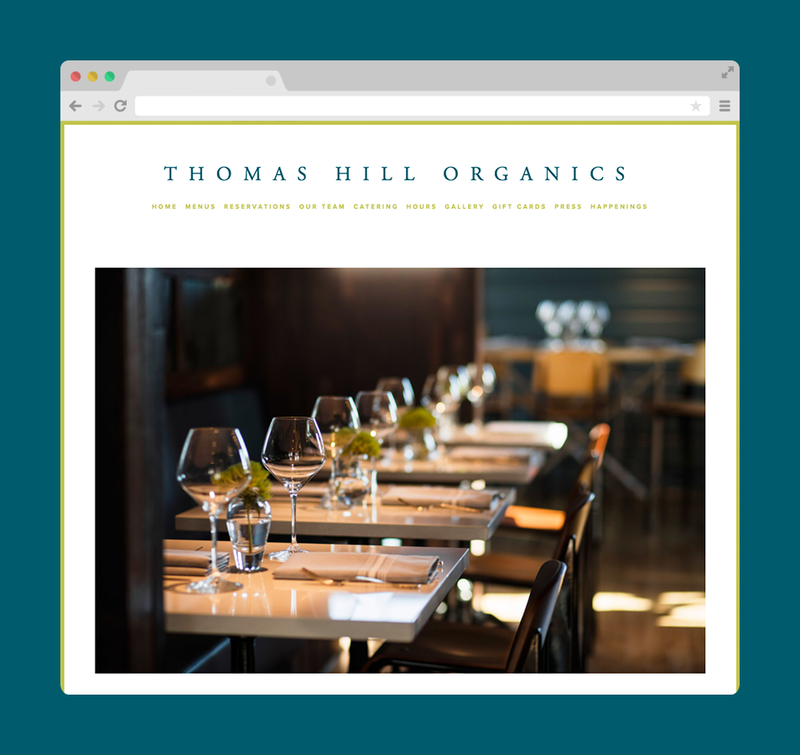 With a dynamic menu reflecting the seasonal abundance, Thomas Hill Organics sources a vivid array of fresh ingredients to concoct bold, imaginative dishes. While making simple updates on her old website, Debbie would constantly run into formatting issues and unsolvable bugs. She wanted a user-friendly, back-end experience in order to update and reflect her current menu offerings. A new website made from scratch (pun intended) on Squarespace, the most intuitive, easy-to-use platform. After a one-hour, in-person training session, Debbie can now make all the menu updates on her own with ease. “When it comes to website design and development there are a lot of designers that talk a good game but Kendra really delivered. She was given our vision and she created an engaging website for us.